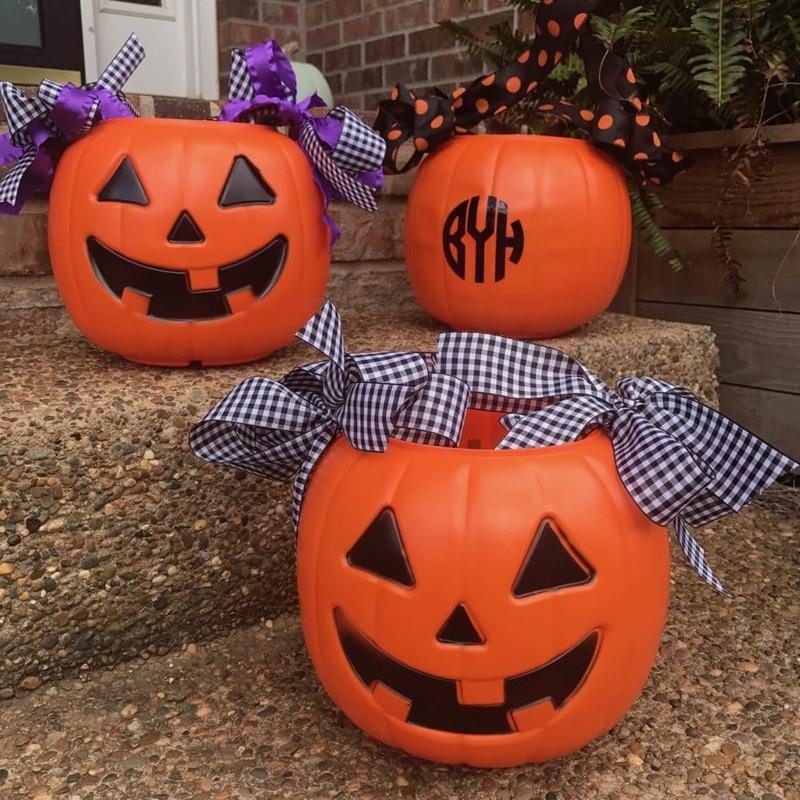 This simple craft will get the howl of approval from even your most frightfully frugal friends! 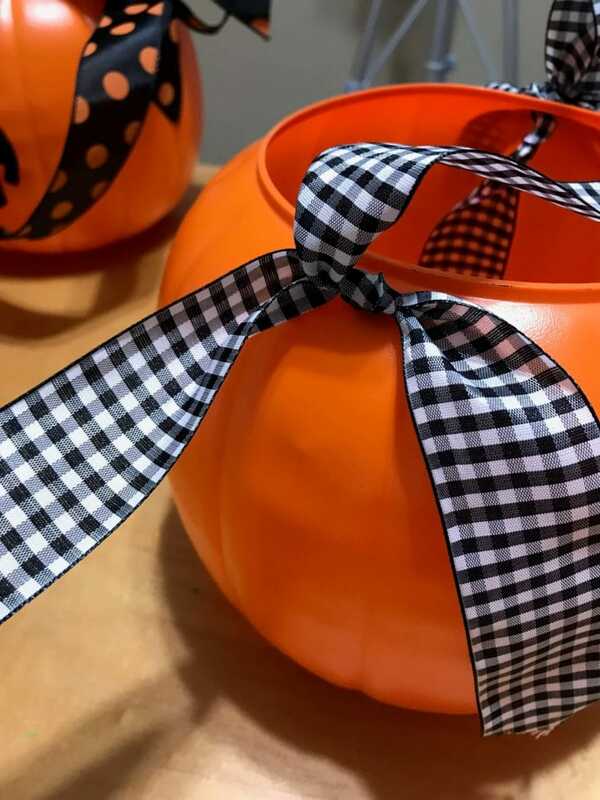 Dollar Tree plastic pumpkins and seasonally on sale ribbon team up to create this spook-tacularly simple treat bucket. Remove the plastic handle and replace with your ribbon of choice, going from the outside in, with a knot on the inside. The ribbon really makes the basket! 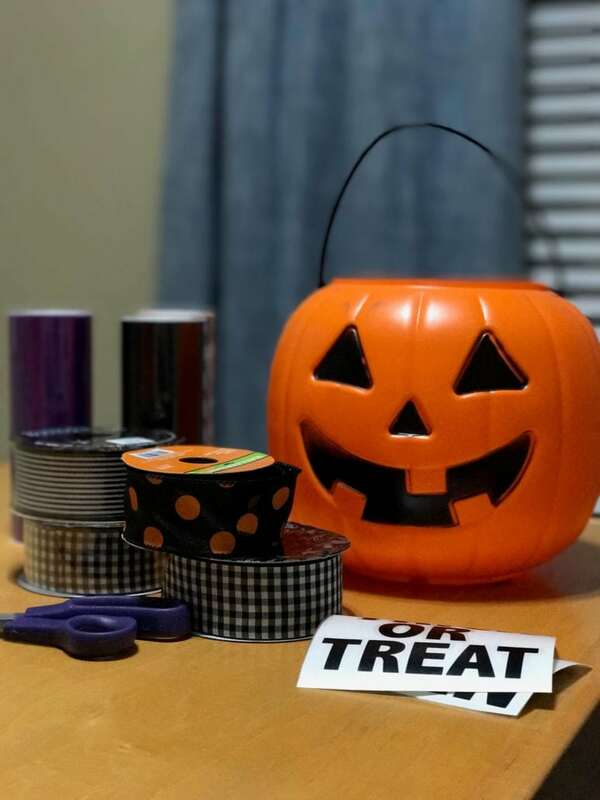 You could even pick a ribbon that matches your kiddo’s costume! Eeeeekkkk!! 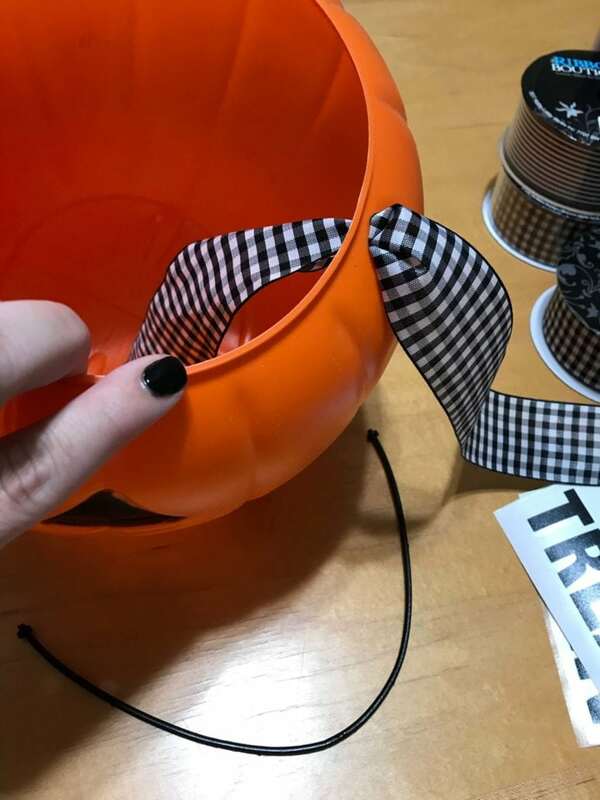 You know I do more cute than creepy, but I’m sure you could definitely find ribbon with spider webs or little bats or even just black and white stripe. 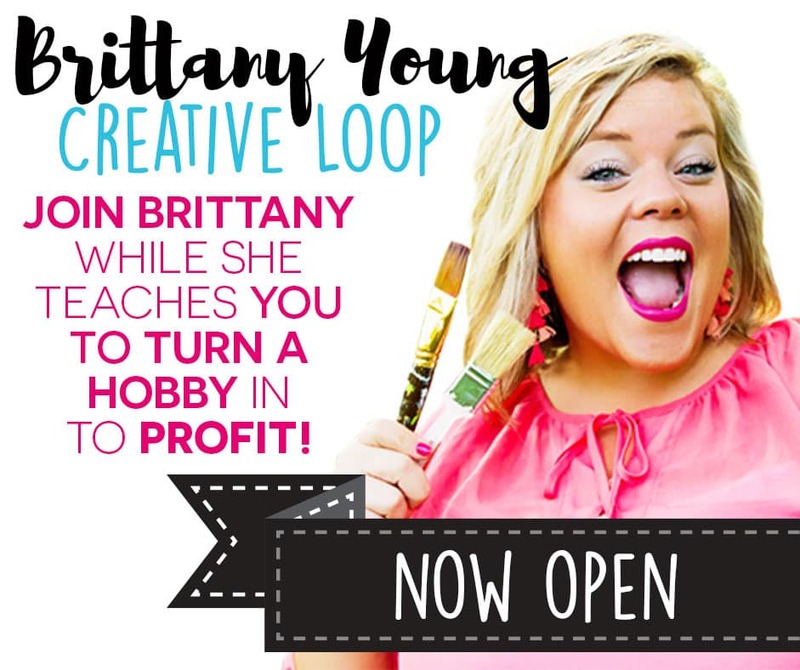 If your personal style is less cutesy this project can totally still work for you! Finished! Are these baskets not soooo chillingly charming!?! Show me your finished projects! Post with #CuteNotCreepy so I can bask in the boo-ty of your bonechilling buckets! 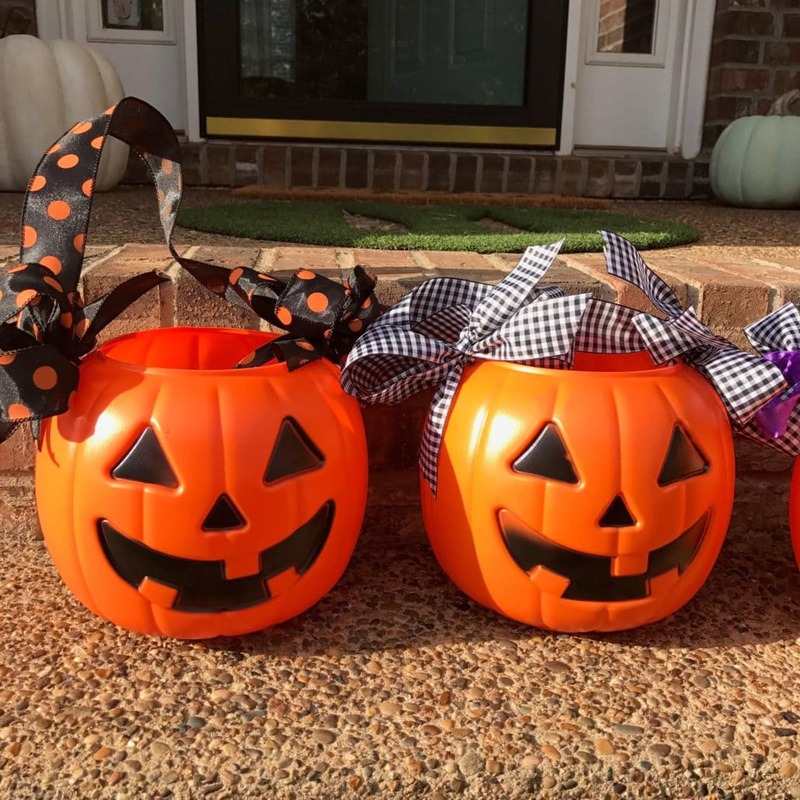 Halloween baskets from drab to fab!